My history with this band goes back over 20 years. I lived in this west-side neighborhood from 1989 (worked there from 1985-2007) until 2003. In the mid-1990’s- 2003 I brought my grandma here to enjoy the concerts. It was our first time seeing it in many years. We moved away from this area in 2003. It was great coming back to hear this Madison favorite. 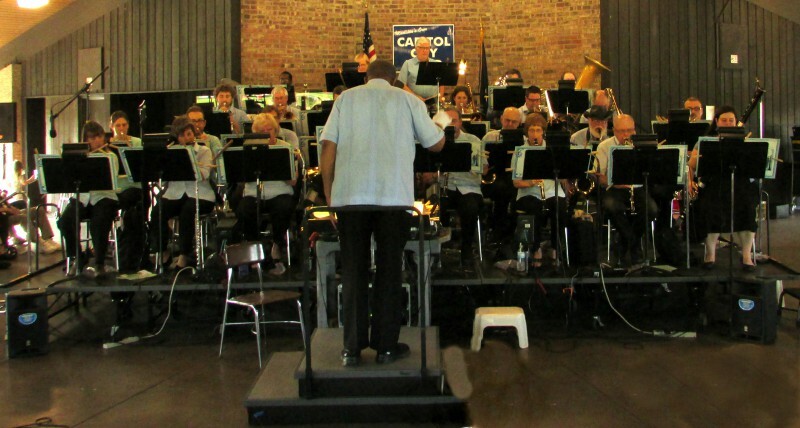 The Capitol City Band Association has been performing at Oscar Rennebohm Park on Thursday evenings since 1969. Tonight was their 822nd concert. They play from 7-8 PM under the big shelter where it is always dry. 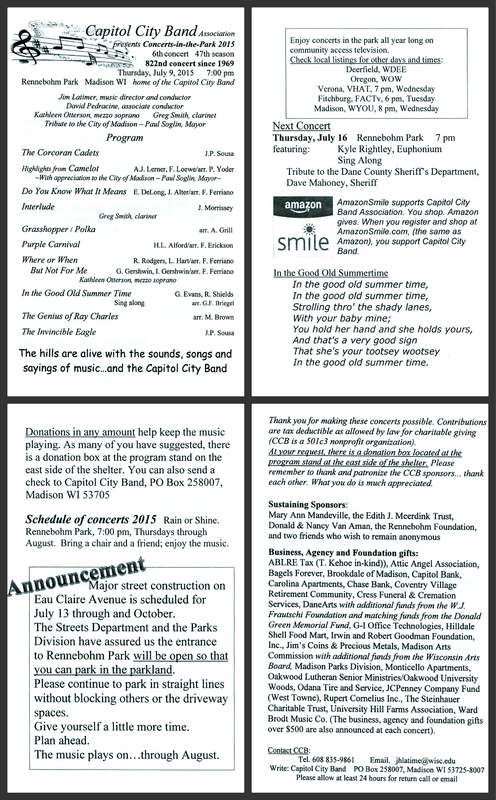 We are given a keepsake program at the before the concert with all the information about the music and group and sponsors. 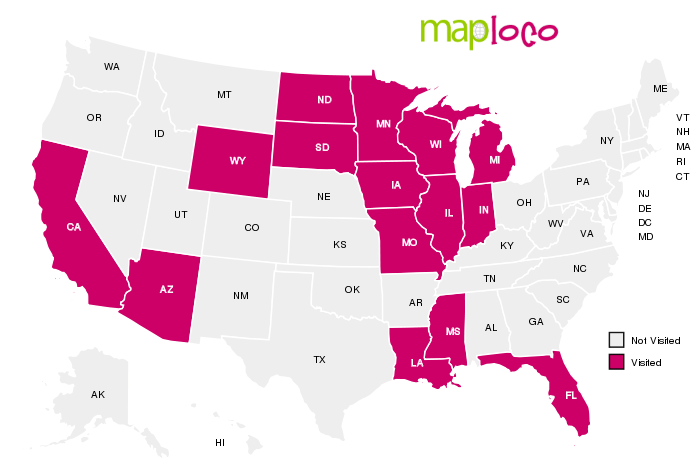 We patronize them as much as possible. I hear the instruments tuning, it’s time for the concert. Conductor and Director Jim Latimer is the heart of this band and his love for music and Madison is seen in every performance. 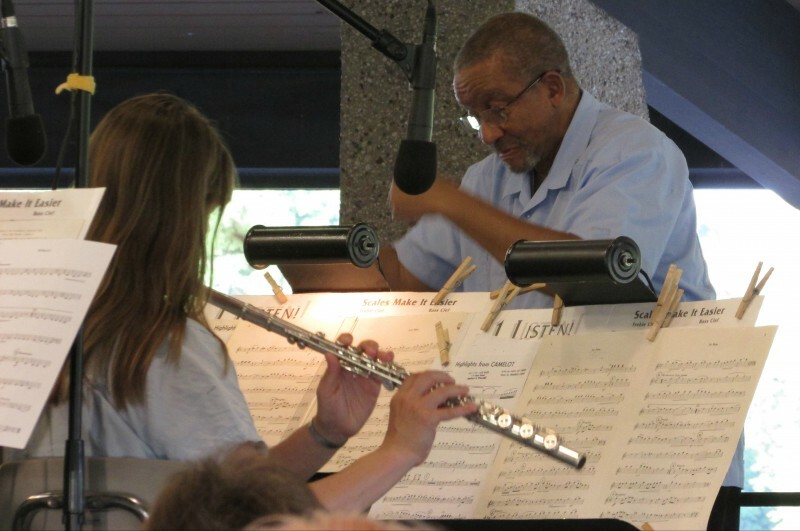 Madison’s public access channel WYOU has been recording the concert and broadcasting it for over 20 years. You can watch the concerts here on your computer, maybe other devices too. In 1999 they also put out a CD you can get here. 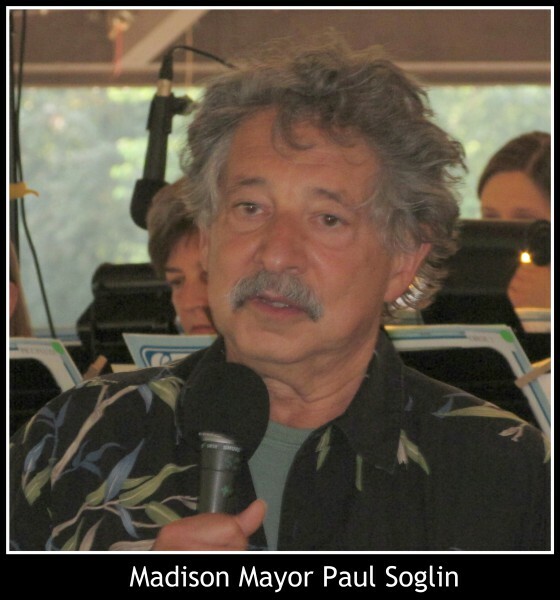 Madison’s Mayor Paul Soglin stopped by that night to express his appreciation to Jim Latimer and the band. Mezzo Soprano Kathleen Otterson gave a great performance also. Thanks Jim Latimer and your group(s) for providing such great entertainment for the Madison community! This sounds like it was really fun! Reminds me of the Summer Band Concerts we used to do when I was in high school band. Really enjoyed them! Thanks so much for reading our blog, we invite you to follow us 🙂 went to Opera In The Park tonight. I will write about it next week. It was our first! Thanks again for your kind comment. I pour my heart into each post as you do with the CCB’s beautiful music. I have enjoyed it over 20 years and now could share my joy with others through my blog. I brought my Grandma in the mid-90’s before her health failed. She has been in heaven for 9 years now but she loved your concerts. I have covered other live music venues here, like the Madison Northside Monday programs and Concerts on the Square. 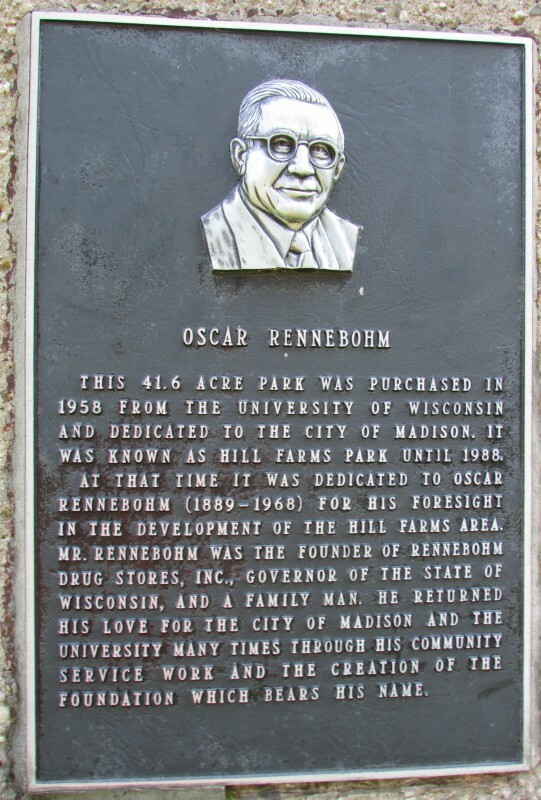 Also The Madison Blues Picnic. One time the Chazen Museum, before it was cancelled. I covered Opera in the Park last night, beautiful! The next one I plan on doing is Dane Dances on Aug 7. I also have showcased numerous bands at the many festivals we attend. We love nearly all kinds of music. I have a favorite program on the radio I enjoy every Sunday night, Big Band Sunday Night with George Jonescu on Zoomer Radio in Toronto. He has played some of the music your band have played and I think of CCB instantly.